Athletic Courts and Running Tracks benefit from the laser grading technique. Properly preparing the surface for pavement both in physical grading and in slope elevation planning will determine how long the pavement lasts and the quality of the paved surface. Able Paving Company constantly adapts the latest techniques to ensure the highest quality asphalt services are available to all our customers. Able Asphalt Paving Company uses this technique to provide a quality surface and ensure a long lifespan of the surface. For new construction projects laser grading has become the industry standard. Not only does laser grading allow for precision planning of large asphalt pavement applications, it also allows these construction projects to maintain affordable budgets. 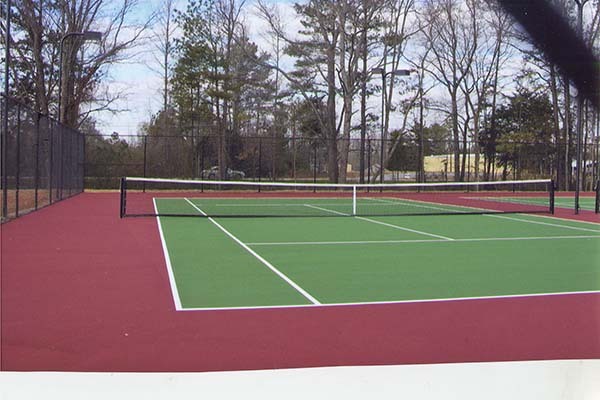 Tar & Chip Paving also known as Chip Coating is a close alternative to asphalt paving. 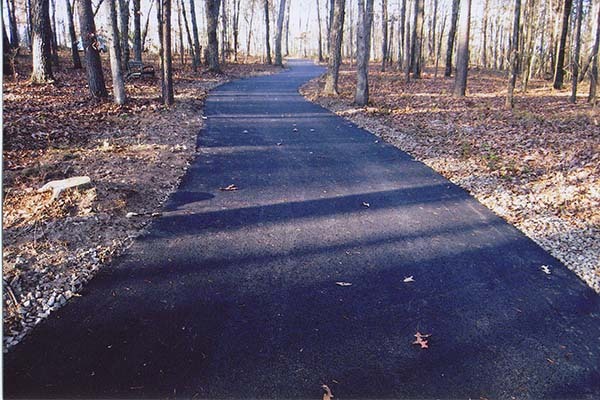 Tar & Chip paving requires the same preparation as paving a road or drive with asphalt. Once the surface has been graded to the proper specifications a coat of asphalt cement (or tar) is applied to the road at the proper thickness. Distributed evenly at the right consistency and the correct temperature the roadway is coated and ready for gravel to be applied. The gravel is evenly applied to the roadway and then pressed into place with a large roller that compacts the gravel into the asphalt cement. This process is hundreds of years old and is still a great solution for roads and driveways in rule areas. Able paving company can handle all of your Chip coating needs. No job is too big or too small for us. We offer free estimates on the best service that you can find in the paving industry. We have been offering Tar & Chip paving since 1965. This is still very popular solution for country roads and drives. 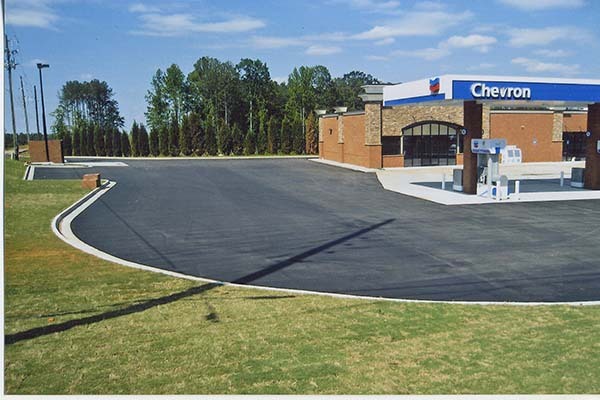 Alabama, South Carolina, South Georgia and West Florida are all very popular places for Tar & Chip Paving. Contact us and find out how affordable your construction or renovation project can be. The Chip Coating process is good for parking lots and residential driveways. It is also good for resurfacing roads. The surface being gravel, as opposed to asphalt or blacktop, does not collect heat as quickly as its asphalt counterpart. The surface can be rough which provides good traction for trucks and heavy duty vehicles. Country roads, farm roads and utility access roads are all excellent examples for use of the Tar & Chip paving process. Additionally, Chip Coating is virtually maintenance free, as it does not require Seal Coating. Use and climate conditions dictate when the process will have to be repeated.